The quality of our residential garage door service ensures the safety of your family. Come to us every time you are confronted with unexpected overhead door problems or want to change the existing opener. Broken springs? Damaged tracks? Just call the number of our Garage Door Repair in Toronto, ON, and have peace of mind that the problem will soon be handled by one of our technicians. Located in one of the most cosmopolitan cities in the world, our company can help you with your residential garage door repair needs. The incredible architecture of the Allen Lambert Galleria in Brookfield Place, the historic aroma in the Old City of Toronto and the numerous cultural events in Toronto are just a few reasons why the city our team serves is one of the most vivid ones in Ontario. Thanks to our great team, we manage to help all local residents with their garage door problems and in a timely manner. We can do many things for you. From installing new garage doors to taking care of the existing one, replacing the damaged parts and fixing the opener, you can depend on our specialized knowledge and good training. * Fast response repairs. We focus on your problems. 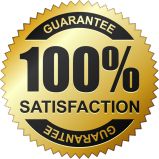 The main goal of our Toronto Garage Door Repair is to fix your door. Count on us for casual and emergency repairs. We assist as soon as possible and take care of any problem related to cables, springs, openers, tracks, sensors and any other component. * On time replacements and installations. Our technicians replace all parts. From the broken garage door springs to damaged cables or tracks, we can replace all components. We also replace and install new doors and openers. * Preventive service. Keep your door for years with our help. 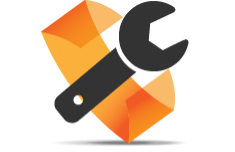 We offer maintenance service, which includes a huge range of tasks. From adjustments to lubrication and repairs, we do everything necessary in order to ensure your door is functional, noiseless and safe. Let us troubleshoot problems today. Garage Door Repair Toronto, ON, never forgets the importance of fast assistance. Thanks to our good preparation and professionalism, we do our very best to help you in timely fashion. Next time you'll need garage door opener repair or track alignment, get in touch with us. Our company is here for you.